The acclaimed scriptwriter will reunite with the director after their ‘January Oru Ormma’, which was released in 1987. The history of the golden era of Malayalam cinema - the magnificent 80s - would be incomplete without the name of this script writer. Fondly referred to as ‘Kalooran’ in the film fraternity, Kaloor Dennis is one script-writer who is still going strong after three decades in the industry. The man who has penned screenplays for over hundred movies was in a particularly joyful mood when we met him, the reason being that he is teaming up with veteran director Joshiy this year. “I have scripted for 14 Joshiy movies in the 80’s. However, after ‘January Oru Ormma’ released in 1987, we were not able to do any film together. This year we are planning to do a film and I am really thrilled about this reunion,” he says. Interestingly, it was the script that he penned for Joshiy’s movie ‘Raktham’ that made him popular as a writer. Dennis’ association with the Malayalam film industry started in the mid 70s when he and designer Kitho started a cinema magazine, Chitrapournami. This gave them the opportunity to interact with several top-line actors and directors. Dennis’ first script was for the move ‘Vayal’ directed by Antony Eastman. Soman and Shubha played the lead roles. At that time Jagan Pictures Appachan was planning for a new movie after ‘Chamaram’. Appachan read Dennis’ novel ‘Aakashathinu Keezhe’ published in Chitrakaumudi weekly and expressed his interest to make a movie based on that novel. Accordingly, Dennis completed the script. They have not finalised the actor and that Friday a new film- ‘Moorkahan’, was released at Ernakulam Padma. Appachan and Dennis went for the movie. The movie was racy and thrilling and during the interval, Appachan asked Dennis. “Why cant we approach this young man Varkkala Joshiy to direct ‘Aakashathinu Keezhe’?” Joshiy was finalised. They roped in two of the lead actors Prem Nazir and Madhu for the movie. However, at the last minute, some problems arose regarding the location, and Appachan asked Dennis to find another story. It was a sleepless night for Dennis then. However, Appachan was relieved when Dennis came up with a new subject the very next day. After penning the script, the movie was titled as ‘Raktham’. “Raktham was the inaugural movie of Mymoon theatre. It had a successful hundred plus days run,” remembers Dennis. Terming the 1980s as the golden age of Malayalam cinema, Dennis says that everybody enjoyed their own space during that period. “Bharathan, Padmarajan, IV Sasi, Hariharan, MT, Joshiy, everyone was competing to come up with top notch movies. That was really the golden age of Malayalam cinema. The audience had a good understanding of the medium and cinema was the last word in entertainment. There was variety in themes and genres. A director like IV Sasi can be called as a ‘wonder’ in Malayalam industry. He has conceived the scripts of MT, T Damodaran, Padmarajan, Dennis Joseph, Sherif and mine, all in a different way. Nowadays, how many directors can boast of such a vivid style?” asks Dennis. Was he responsible for the ‘Petti Kutty’ Mammootty image that surrounded the actor in mid 80s? “No. Mammootty had a bad phase in the middle of 1980s. Some of his films did not work well at the box-office. Though the actor came back strongly in 1987 through ‘New Delhi’, some say sticking to typical ‘husband’ roles as one reason for the failure of some movies. But I have not scripted those films. My family subjects with Mammootty were big successes. May be that have prompted them to come up with this usage,” he added. 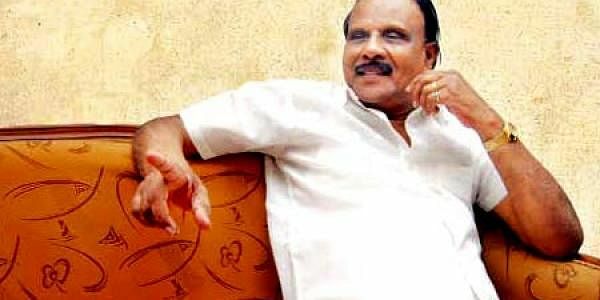 Though he has penned scripts for nearly 100 films, Kaloor Dennis has bagged State Award only once. “It was for ‘Kudumbasametham’ directed by Jayaraj that I won the State award for the best script writer. Among his scripts, some of Dennis’ favourites are ‘Paithrikam’, ‘Oru Kudakkeezhil’, ‘New Year’, ‘Sandharbham’ and ‘Paranju Theeratha Visheshangal’, ‘January Oru Ormma’ , ‘Thooval Sparsham’ and ‘Gajakesariyogam’. Late Silk Smitha has acted in more than 15 films scripted by Kaloor Dennis. “‘The Dirty Picture’ released last year based on Silk’s life cannot be treated as a true portrayal of her life. Director Antony Eastman has shown interest in making a movie based on the life of Silk Smitha. I am planning to pen the script and we hope that the project will be a reality this year.” said Dennis. The young actors of Malayalam cinema need to learn a few things from Mammootty and Mohanlal. I have penned 23 scripts for Mammootty. I still maintain a good relationship with him and he even lends a helping hand for me by co-operating in a movie to financially help me. These are acts of kindness that reminds us of the goodness and harmony that the industry was once known for. Same is the dedication and commitment of Mohanalal. I still remember Lal doing a fight sequence for ‘January Oru Ormma’ in the dirty mud. Two nights, he took part in the shooting without complaining about the stench. Nowadays how many youngsters are ready to co-operate and compromise? They are in the grip of manager and caravan mania. One of the young actors won’t even pick up the phone when the producer or director calls him to talk about the project.